Erich Ellis stepped on an Improved Explosive Device (IED) in Afghanistan. He came home and spent thirty days in a hospital bed being poked and prodded night and day. He endured ten operations during that month. Nick Perales also stepped on an IED in Afghanistan. Since he was “in cover” during that time in a stream, he wasn’t very close to any of the other members in his squad. His leg was blown off and he had to apply a tourniquet by himself in order to survive. Orlando Gill was on foot patrol in Iraq when a Rocket Propelled Grenade (RPG) hit his leg. Luckily, the grenade did not explode, but the RPG instantly amputated his leg just above the knee. Kisha Makerney was riding a motorcycle alone in Oklahoma when she had a front tire blowout and hit a sign by the side of the road. She too became an instant amputee. She crawled back up to the road. Shortly thereafter a young couple driving by pulled over to help, and, fearing for her life, began to give her her last rights. Alone in her small town in Oklahoma she not only survived and recovered, she worked so hard that she finally was able to get reinstated by the Oklahoma Army National Guard and she redeployed with her unit to Iraq as an amputee. She was the first female amputee to deploy in combat. Steve Martin was a contractor with the Department of Defense in Afghanistan. Using his knowledge as a former Army Military Policeman and a patrolman with the Arizona Highway Patrol, he was teaching Afghani policemen how to keep their country safe from insurgents. He was riding in a Humvee that was struck by an IED. That moment was only the beginning of a long chain of events, leading to 14 operations and an amputation on each leg below the knee. Sarah Evans was deployed in Afghanistan when she noticed a pain in her hip when she ran. After some tests the doctors found a large tumor. She was immediately sent back to the States to begin the barbaric process of chemotherapy. After months of treatment, the doctors and Sarah realized that in order for her to survive, they needed to amputate her leg from the pelvis down. 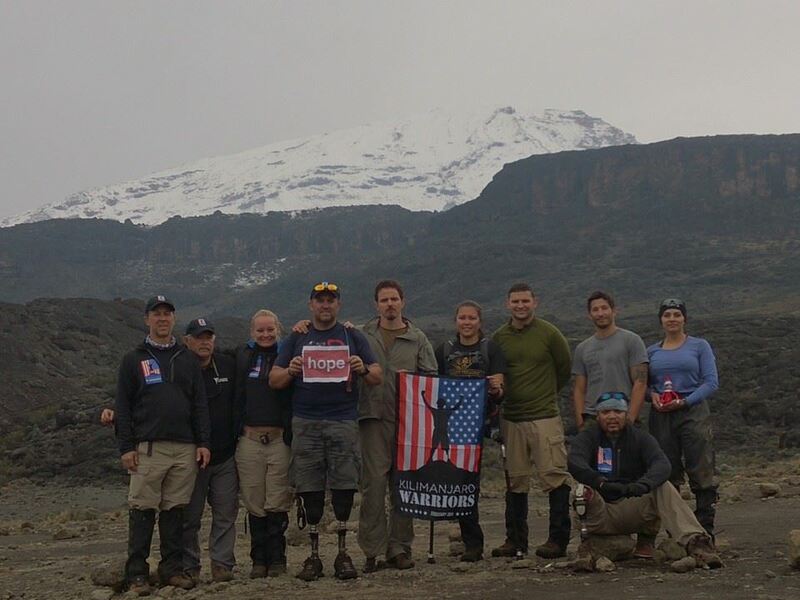 While a safari can’t make up for all the lengthy hospital stays and operations these young veterans endured, it certainly was a nice way to unwind after a grueling eight day hike up and down Mt. Kilimanjaro. We rode in two Land Cruisers with pop up tops. On the first day we were driven to a park about three hours away from the city. 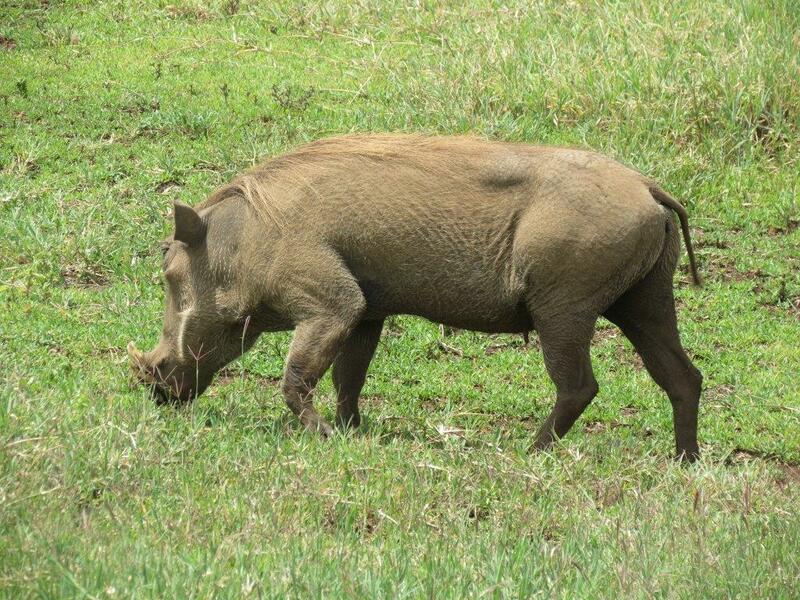 At Tarangire National Park we drove along trails and saw the majestic countryside of the African plains. 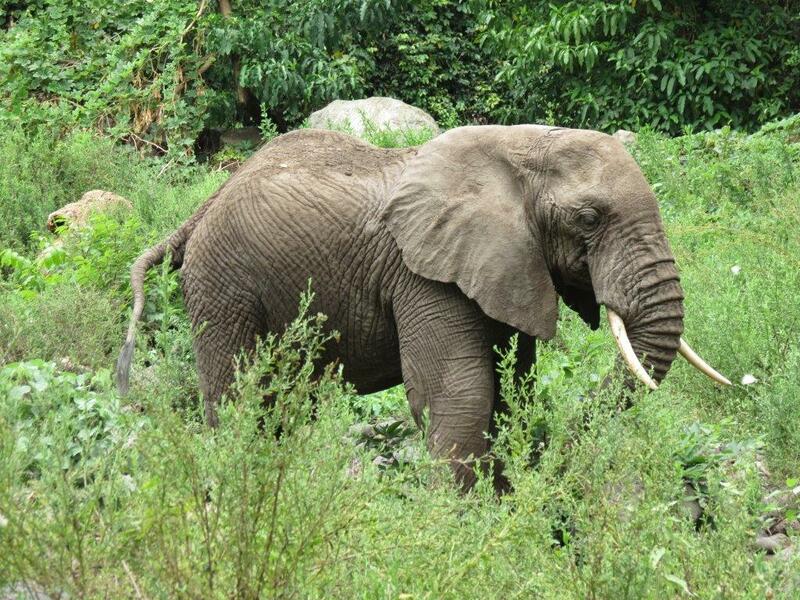 Here we saw elephants, zebras, warthogs, cheetahs and numerous other wild animals. We were then taken to the beautiful Ngorongoro Wildlife Lodge where we spent the evening. The next day we went to the large crater valley in the Ngorongoro National Park. This was our favorite park we visited. 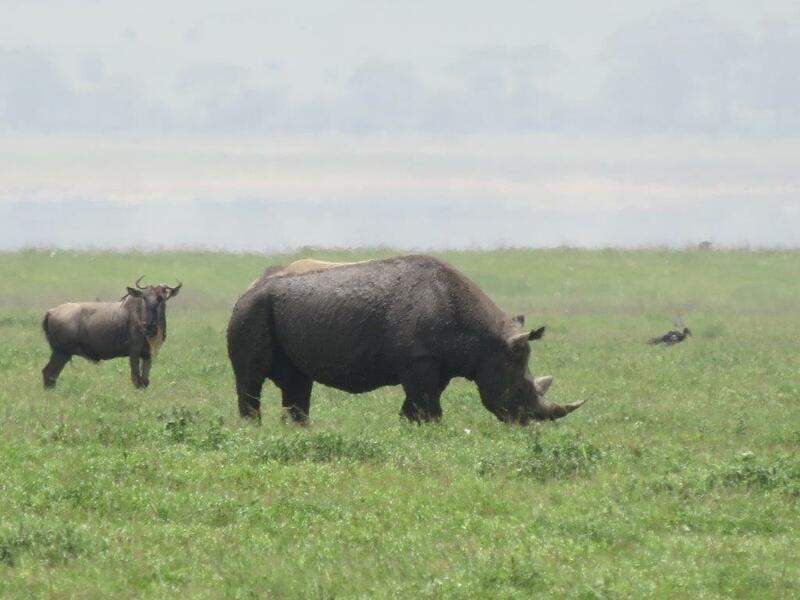 Here we saw countless different species, the most notable being the rhinos, cape buffaloes, wildebeests and the lions. In fact, we got to watch as a pride of lions and and a large group of cape buffalo fought over some territory by a rich grassy ravine. 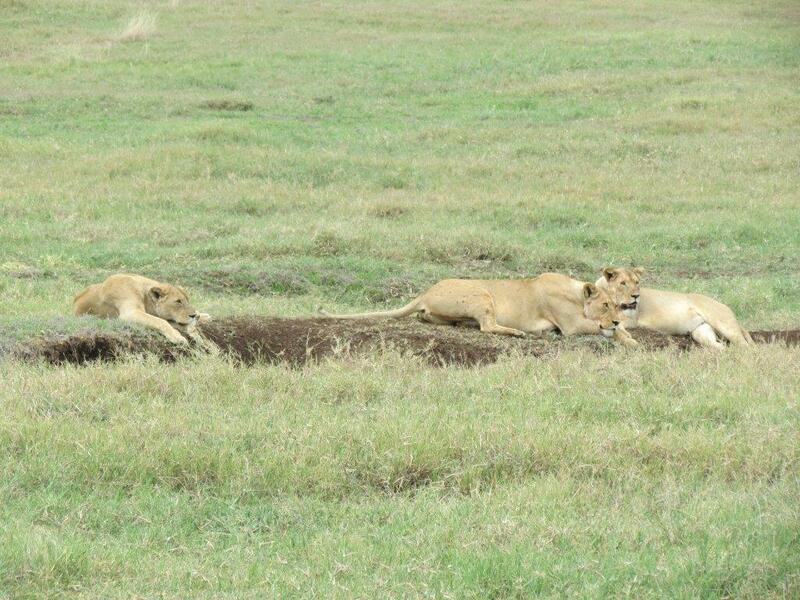 The lions were not in an arguing mood as they yielded the territory to the buffalo. Interestingly, two zebras who were among the mix acted like they scared off the lions by themselves. I wonder how the whole incident would have gone down if the two zebras weren’t standing next to a herd of buffaloes. That evening we got to stay at the even more spectacular Lake Manyara Hotel. 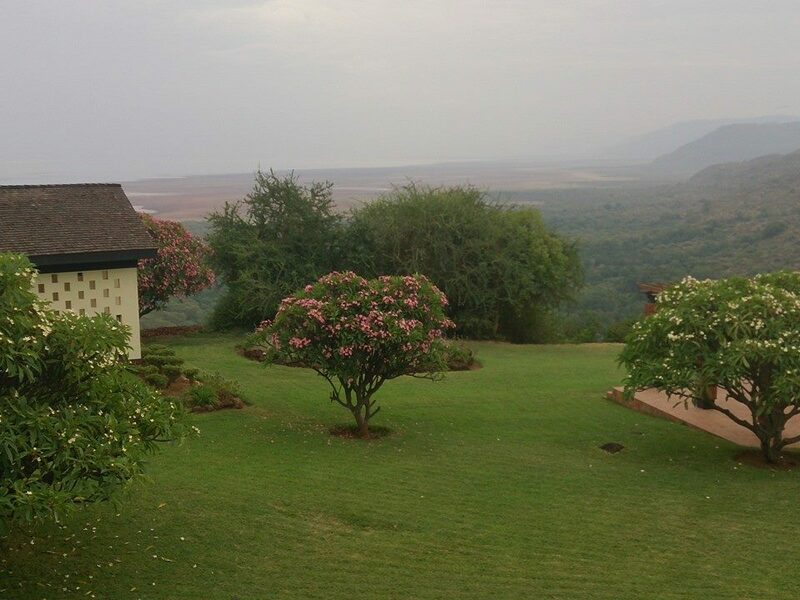 What a beautiful place that was, overlooking the Lake Manyara National Park. We finally had time that day to relax by the pool for a bit and recount our stories from the climb. We laughed and joked with each other about some of the crazy events that happened to us along the journey. By now everyone had mostly recovered from all the soreness and aches that were caused mainly by the grueling descent down the mountain (which we accomplished in just two days). We are hoping they install a moving sidewalk down the mountain soon… You give everything you have to climb up and you feel absolutely exhausted and spent when you then have to turn right around and descend 14,000 feet straight down a very slippery and rocky path. That was tough! 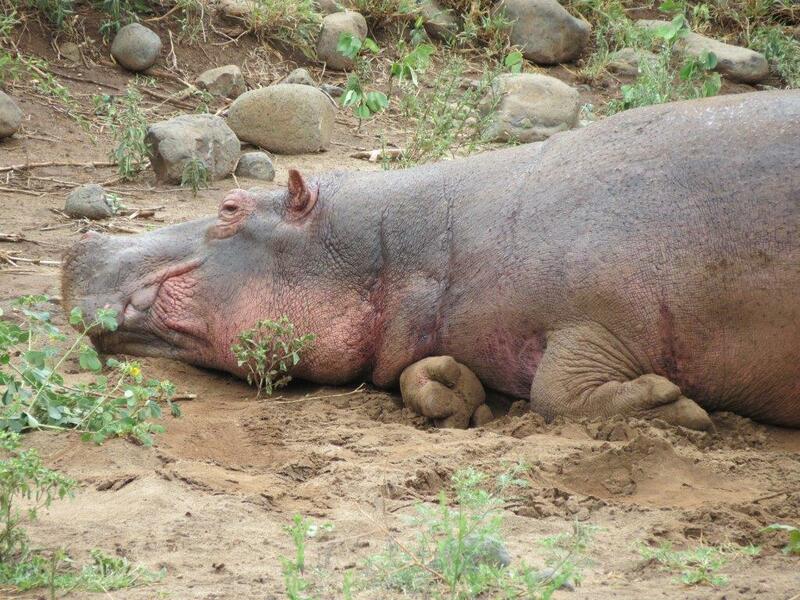 The next day we were able to explore the jungles of the Lake Manyara National Park. Another beautiful place, full of baboons and monkeys. 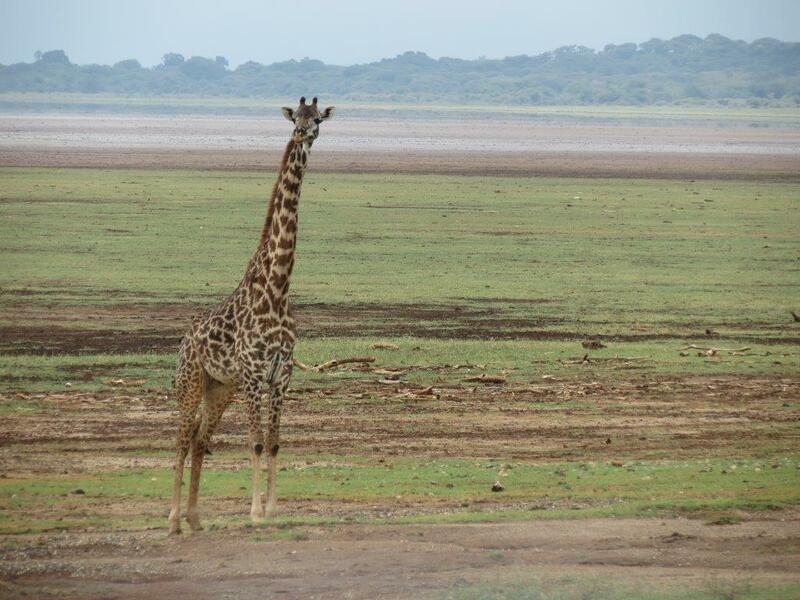 We were also able to see hippopotamuses and giraffes. We left the park around noon to start our journey back to our hotel in Arusha where we were given two rooms to quickly freshen up and change in. 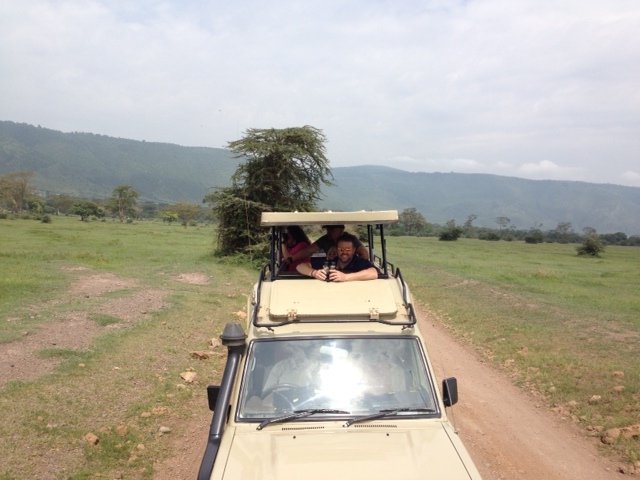 Along the way back, the group in one vehicle wanted to stop at a Masai Village to see how the local tribes live. At the village, blonde haired Kisha got “married” to the chieftain’s son. We were told that we owed the chief 20 goats and two chickens as the dowery, which we didn’t have, so we had to get out of town quickly. We left our hotel at 6:00 p.m. on the 20th of Feb, that was 7:00 a.m. Central time. We flew for 12 hours to Amsterdam (we had one stop en route). Again in Amsterdam the great people at KLM Airlines escorted us to their Crown Room where we relaxed for three hours. We then boarded a plane headed for JFK. But as we arrived we found JKF blanketed by fog so we had to divert to Syracuse. After waiting in Syracuse for gas and the fog to lift, we finally got to JFK at 6:00 pm on the 21st. Thirty four hours after we left our hotel in Africa! We missed our flight to DFW, so again we had some great people at American Airlines go to bat for us. They quickly rebooked us on a flight out of New York the next morning. They then secured hotel rooms for us and bus transportation to and from the hotel and the airports. We didn’t have to worry about anything but our dirty clothes as the AA New York staff escorted us wherever we needed to go. We arrived at DFW at noon on the 22nd and headed to our connecting flights for those who had to move on. By the time the last of our party got to the west coast, the total travel time for our trip home was 55 hours long! This whole trip has been a measure of endurance for us, but the great thing about it is that no one ever complained. All of these veterans have had to put up with so much in life, that flying next to a crying baby for 12 hours (like Erich had to do) or getting home a day late, just becomes another “thing” you have to deal with. Although they don’t enjoy these minor inconveniences, they have been through so much and they know things could be much worse! We can all learn from the patience these veterans exhibit as we go about our daily lives. And we can all grow from the determination, spirit, and guts it took for this group to go climb AND descend the highest freestanding mountain in the world. What an amazing adventure!! I lived reading this blog thru the whole trip. Everyone is a true athlete! WOW! I’m so impressed and so proud of you all! Thank you for serving our country!